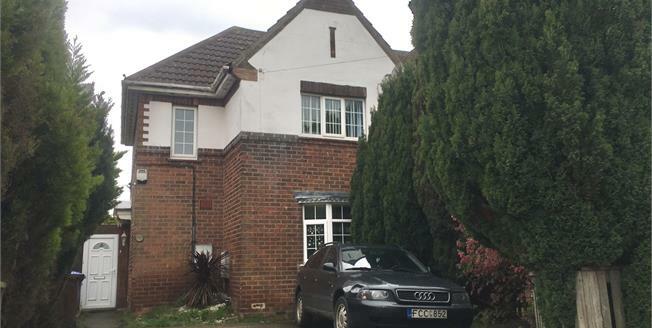 This Semi Detached Three bedroom house offers a large kitchen diner, which is open plan with the living room, a family bathroom, two double bedrooms and a single bedroom. There is off road parking to the front for two cars and to the rear there is a generous sized garden. For viewings please contact the office today! UPVC double glazed door, opening onto the garden. Double glazed uPVC window. Radiator, spotlights. Granite effect work surface, wall and base units, stainless steel sink and one and a half bowl sink, integrated oven, integrated hob, over hob extractor, space for dishwasher, space for. Double glazed uPVC window. Heated towel rail, ceiling light. Low level WC, roll top bath, single enclosure shower and pedestal sink.